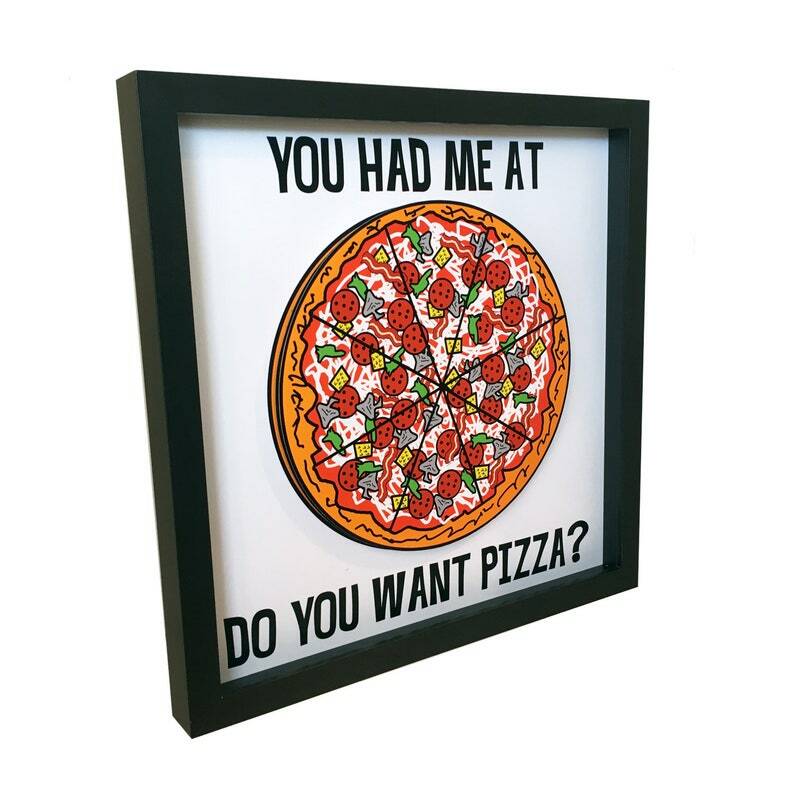 This funny Pizza Art features a pizza with the works along with the saying, "You Had Me At Do You Want Pizza?" The paper cut pizza with the works is rendered in 3D. This is the perfect 3D Art to liven up any one's kitchen!